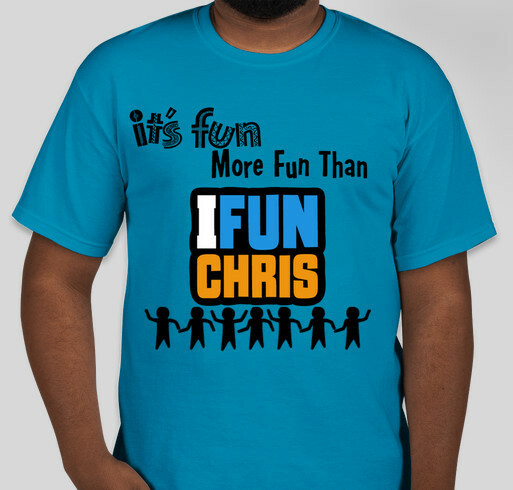 Buy our it's fun More Fun Than IFunChris T-Shirt to help our General Fund Today! All funds raised will be paid directly to IFunChris for IFunChris.com General Fund. You will get a very cool T-Shirt $15 with a donation. Im having a fundraiser to help our General Fund. Bring more fun to my videos and my website too. You will get a very cool T-Shirt with a donation. I running my business for 7 years IFunChris so is time to get some income for business. Chris is working hard to spread happiness and I am so impressed with how well he runs his business. Chris is one of my favorite students. I am so proud of him. Share Why You Support "it's fun More Fun Than IFunChris"